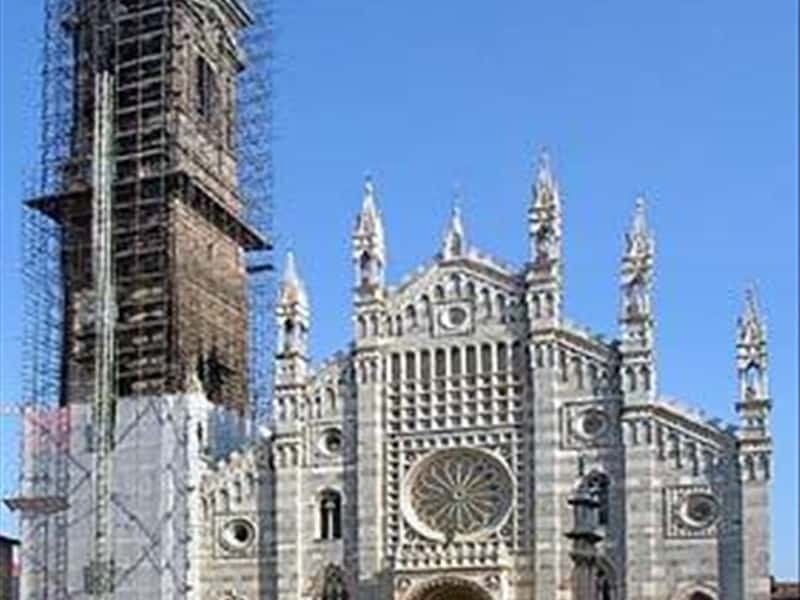 Capital town of Brianza, Monza, the ancient Roman Modicia, increased its importance with the arrival of the Longobard curt: in fact queen Theodolinda ordered the constrction of the palatium ad the Cathedral of San Giovanni Battista. The Cathedral, with its imposing marble façade and the bell tower high about 80 metres, is, no doubt, the most important monument of the city. In the Chapel of Theodolinda there is the Iron Crown , supposed to contain one of the nails used for the cruxifiction. The Cathedral's museum also preserves the most complete collection of barbaric art between the IV and the IX century. In moza you can also admire L'Arengario, already a town hall in the XIII century and now the headquarters of the Archeological Museum, and Villa Reale, by Piermarini in neoclassical style, which houses the civic art gallery. Finally Monza is also famous for the Autodromo Nazionale which hosts many important international car racings. This town web page has been visited 43,962 times.